The 2016 airshow season has finally arrived. It is certainly something that at times over the winter seemed anything but certain. I’ll get something out the way before I get started on reviewing the day. Yes the display lines were changed and yes it was different to Old Warden shows prior to this season. 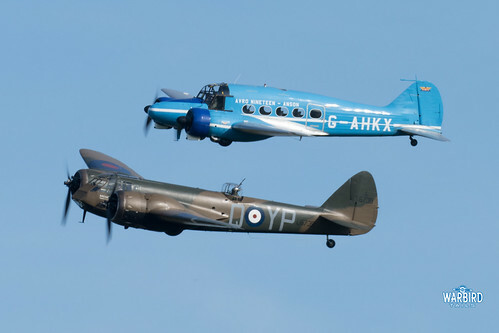 Those are the cards that both we, as spectators, and the pilots at Shuttleworth and other venues have been dealt. The fact is that there was still a fantastic array of vintage aeroplanes to admire. We are lucky to still have airshows at all after the events of last year and as such I will be supporting them as much as possible. Moving on from the politics of the airshow scene for this season, I couldn’t help but instantly feel at home again as I approached Old Warden and was welcomed by a very familiar sight. 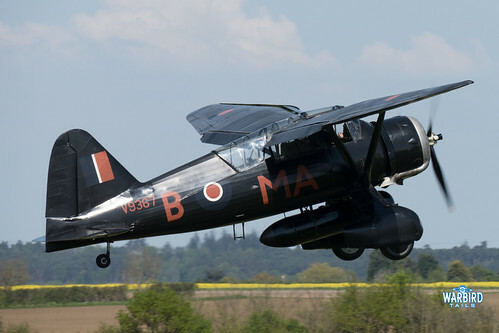 The collection’s Lysander was carrying out a practice display over the field and it really was a treat to see this unique machine back in the skies. After a morning taking in the stalls, collection and static aircraft, not to mention the excellent Swiss Garden, it was soon time for the flying display to begin. 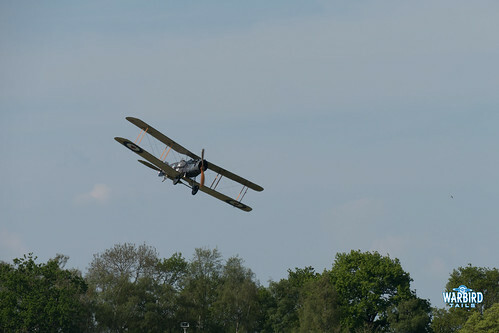 It is worth noting that in car park, traditionally where the collection position an aircraft or two for up-close inspection, were both Bristol Scouts currently calling Shuttleworth home. 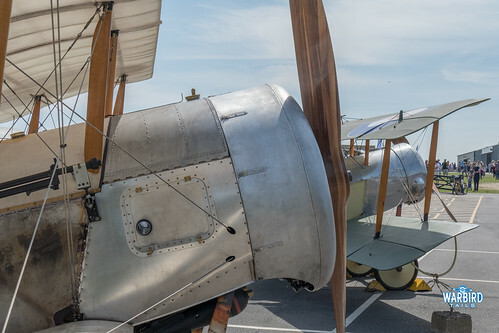 The airworthy replica, built by the Bremner brothers, stood alongside the static example that is now a longterm resident at the collection. I had only been thinking a few days prior that it would be a great sight to see both examples of this scout together. 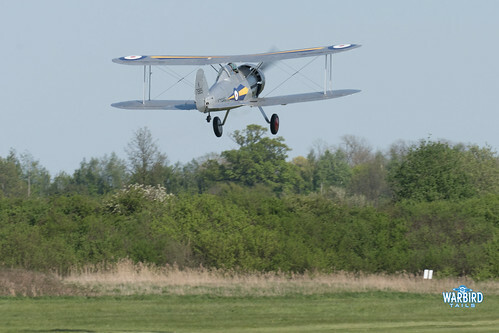 The flying display started at two o’clock with a regular Shuttleworth performer. 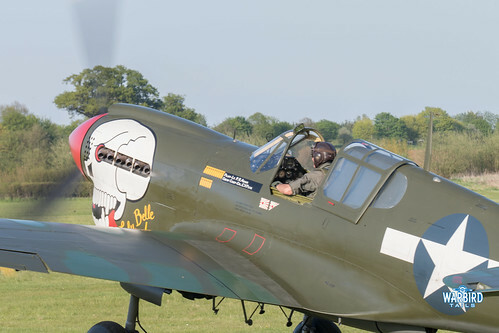 Peter Teichman arrived in his P-40M “LuLu Belle”. Peter performed his usual flowing aerobatic display over the airfield with plenty of sweeping topside passes and quarter-clover loops. This was followed by a spectacular curved approach right until touchdown, one of many impressive examples of crosswind landings seen on the day. The crosswind was certainly a feature of the day. While not paticualrly gusty it was strong enough and consistent all day to keep the Mew Gull and DH88 Comet firmly on the ground, which was understandable. The other strange element to the day was that the wind was perfectly blowing down the cross runway – 12, which made for some dramatic approaches from most of the collection aircraft. A short display from the PO2 was soon followed by the familiar rasp of a T6 Texan rolling down the short runway, certainly a surprise to see this familiar shape appear from behind the control tower. 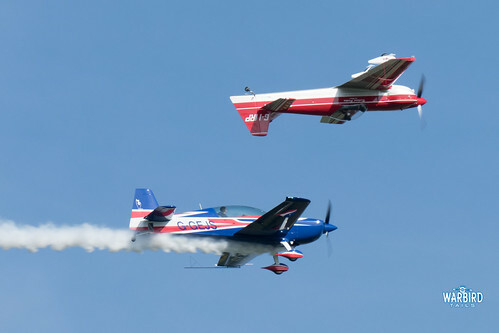 John Beattie put on a dynamic display covering all aspects of flight from aerobatics through to a couple of passes in the landing configuration. 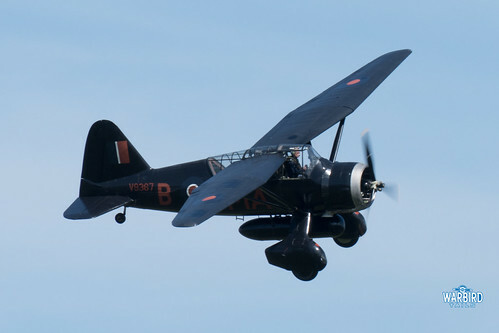 One of my highlights of the day was the Lysander leaping into the sky on runway 12, something which I had positioned myself by the control tower for. 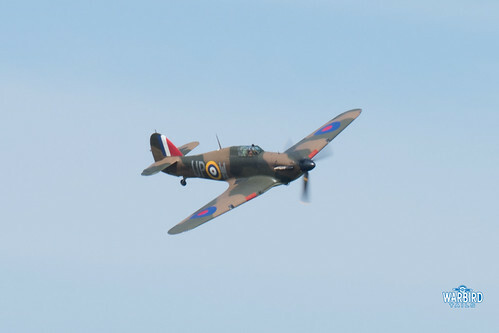 What an impressive aircraft and a welcome return to the Old Warden skies. 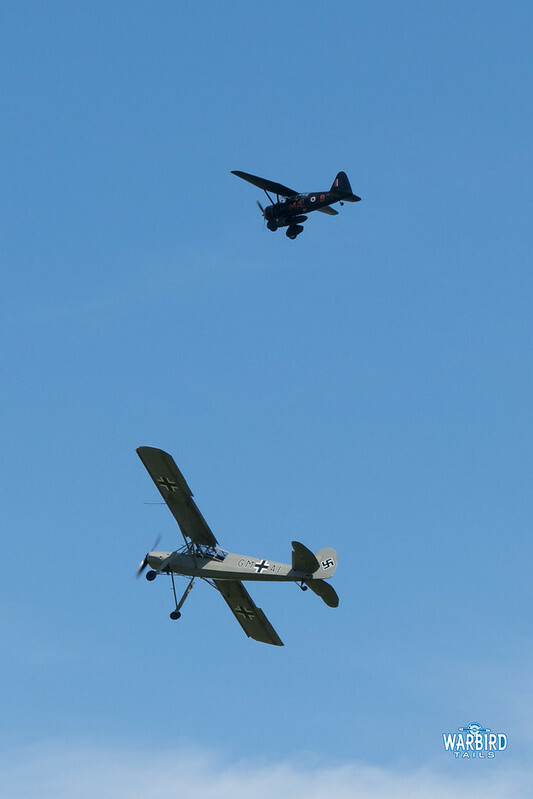 After the Lysander completed a solo display it was joined by a very spirited appearence from the Storch, which was able to show off its hovering skills in the persistent winds. Changing the pace completley was the arrival of the Red Arrows. This was the teams first appearence at Old Warden since first converting to the Hawk and it was certainly a great experience at a small venue such as Old Warden. The Sychro pair elements were paticularlry impressive. 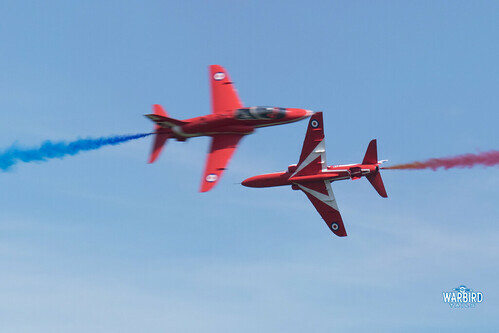 Sadly the Reds display was interuppted by a Gazelle helicopter which entered the controlled airpsace. After a few attention grabbing smoke on passes in front of the intruder the aircraft returned for one final on crowd break to conclude their display. 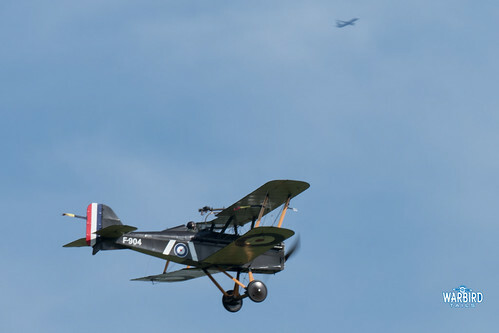 A classic patrol of trainers took to the sky following the Red Arrows’ departure in the shape of the collections Tiger Moth and Magister joined by BAE System’s Blackburn B2 and the display debut of Peter Holloway’s Ryan STA. 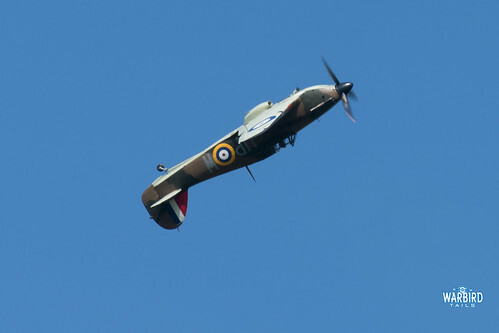 The Ryan is a great addition to the UK airshow scene and looked fantastic in the spring sunshine. 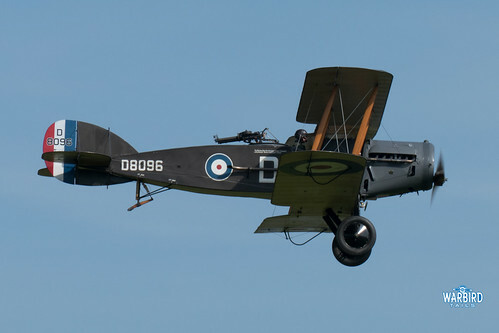 Next it was the turn of the Shuttleworth “heavy metal”. I had moved back to the control tower to watch the Demon and Gladiator get into the air using the cross runway, the former seemingly needing no runway at all. 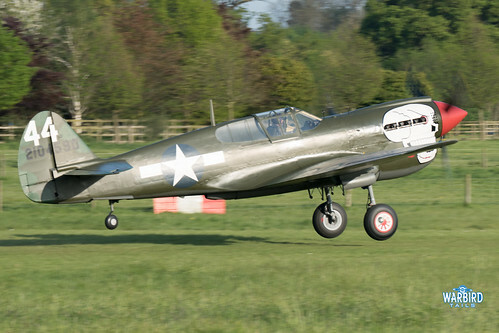 Stu Goldspink followed suit in Hurricane R4118 using the main runway. After a short hold the three aircraft returned for a wonderful 1930s formation for a couple of passes before the Demon broke off into a solo routine. Rob Millinship put the Demon through its paces before bringing the Demon in for an impressive landing on the short runway. Another formation pass followed with the Hurricane and Gladiator before the Gladiator carried out a graceful solo in the hands of Paul Stone. It was Stu Goldspink’s display in the Hurricane that was the real standout of this sequence however. 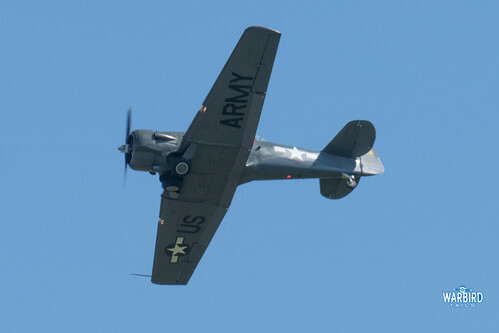 A combination of climbing aileron rolls, a welcome change from the familiar big barrels often flown by Hurricanes and sweeping topside passes. The Hurricane solo was certainly one of the best examples of working to the new regulations I saw on the day. While conditions ruled out any appearences from the rotary aircraft on Sunday the collections Bristol F2B and SE5a were able to put on displays. 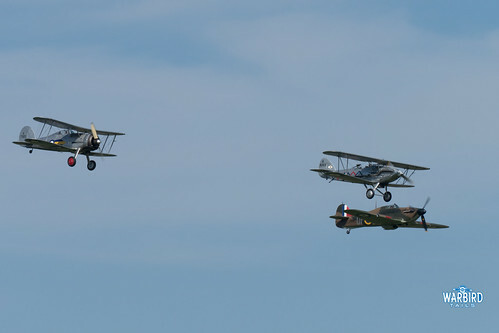 Any appearence from these rare original WW1 fighters is always welcome. 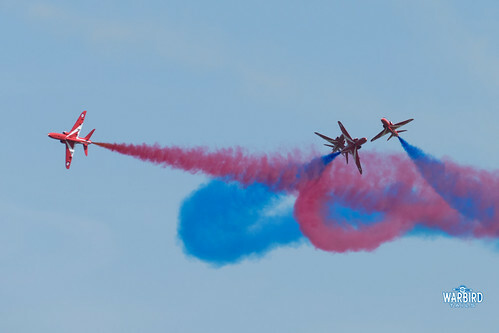 The Global Stars offered the piston driven alternative to the Red Arrows formation aerobatics earlier in the day, with some unlimited aerobatics thrown in for good measure. 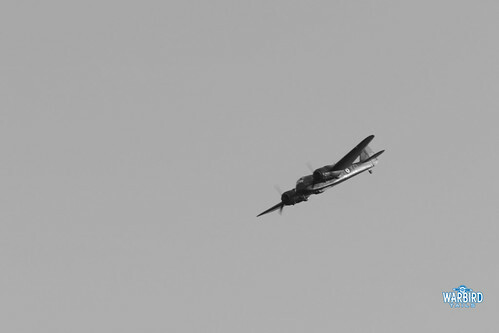 After a solo display from BAE System’s Avro XIX, it was time for the finale to the afternoon. John Romain had already set an incredibly high standard with his Blenheim solos in 2015 and this dispaly at Shuttleworth certainly lived up to expectations. Following a surprise formation arrival with the Avro XIX the Blenheim was thrown around the sky with great enthusiasm and speed making great use of the venue and display line on offer at Shuttleworth. 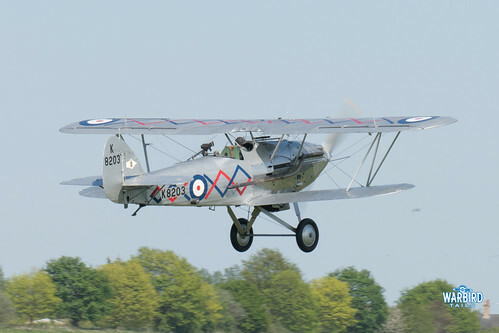 Overall then this was, to my mind, Old Warden at its best. High quality visitors including a great deal of variety and a number of memorable appearences from the home team. 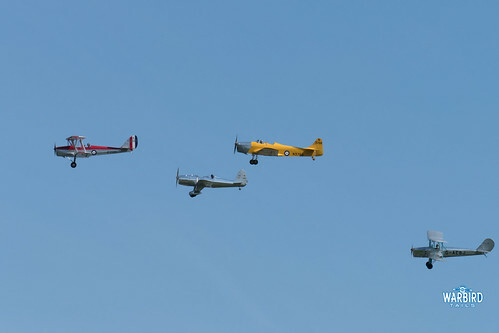 It is a shame that the prevailing crosswind prevented appearences from the classic racers and some of the First World War aircraft, but this was most certainly a fitting and memorable start to what I’m sure will be an impressive season for the collection.